As a south florida native, I am not offended at all. Its so hot and humid almost year round. There are clouds of zika mosquitoes and we live in their shade. Even with the shade, its still really hot. Everything is built just above the swamps. I took an art class that was at 10 at night. Behind the box cubicle school was a small swamp. The sidewalk had dozens of enormous toads, eating from the mosquito clouds. People go to box cubicle work or school, then straight to box cubicle houses, where they watch the tv box, smoke pot, play their video game box, and eat bad food from a box or bag. We also have the privilege of taking part in consumerism in the box cubicle department stores. Young christians are born here to die and old jews move here to die sooner. We exist in air conditioned box cubicles, surrounded by either dry pine and palmetto trees or swampland. Forty years later, we go into a box in the ground. 'This nightmare will be over, soon. Oh man that was a quality chuckle...ha! Sword, welcome to Planet Alcatraz. I live out around tampa too. Hey, Florida is awesome. Dont forget we defused that hurricane irma bomb last year. We need to love the place we live in, so we can transform it. It is the desperation of those who did extraordinary wrong. It is getting kinda scary how the light forces don't want any form of knowledge to be let out. Also why the trump worship? Is it for the sheeple? to expose and educate the people enough to reject the deep state and their agenda. this is a complex military operation. so as "Q" says get your popcorn and enjoy the show. as far as trump worship, they're just playing the dark side at their own game. I don't trust the word "soon", but thanks for the update nonetheless. I feel a bit encouraged. I just want my health issues gone, and to be free financially. Also, interesting what you wrote about the positive ET's that are still being tortured and held captive. What they are going through is awful, but perhaps their future testimonies may act as a bridge between us humans who are suffering vs. the elitist spoiled naive Light Forces. I just don't really like the idea of mingling with beings who've never known suffering in their lives. It's the same reason why I don't like rich people. Thank you for your service, Cobra. No one or no thing deserves to suffer. To not allow yourself to get along with beings because they haven't suffered seems rather insane and unfair. If you truly Love someone you don't want them to suffer, right? Yes....the event must MUST MUST happen this year..or i go suicide..its enough now..al promises/talk. I feel sick...exhausted, and tired to the extreme everyday. Because of suffering, and the seemingly endless wait for the event/liberation. I give up already. Please EVENT NOW! These are hard times for too many of us, and the promises that have not yet happened. You may be under attack specifically because you are a threat to the darkness. I hope your situation improves and whatever happens that you have good things happening for you soon. FOR GOD'S SAKE GIVE IT A BREAK. I think of those children who are being tortured and sacrificed and the terror they must feel and then there's you many times in one post going on and on about suiciding and giving up. get a grip and change your life where possible and pray/meditate for the rest of the time and for god's sake change your internal dialogue. you are what you think. isolate yourself for a while and clear your thoughts. God/source loves us all and that is all we need to know. @Tranquil soul To be honest, I feel like the Light Forces very much look down upon Earth. I feel they are helping us more out of an obligation than out of actual empathy for us. They judge humanity severely for our lack of ability to help ourselves. This is classist mentality at its finest. I think it's rather insane and unfair that the Light Forces had over tens of thousands of years to help us, and chose not to. If they really loved us so much, why would they wait so long? Hmm? I know Cobra has official explanations for this, but it's very hard to believe that during all that time, the Light Forces weren't in large part responsible for simply not caring. If it were not for the Agharthans, we'd be screwed, because the 'Light Forces' would have left us to destroy ourselves, I guarantee it. As I said, I don't see them any differently than rich people. I need their technology, and I care about Gaia. I truly do believe in freedom and abundance for humanity, and freedom for Gaia, but I question whether the Light Forces are capable of the same level of empathy that we feel. I just don't see how I'd be able to get along with beings who've never known a day of lack and suffering in their lives, when that is all my life has ever been. I have absolutely nothing in common with them. For this reason, I don't really care about exploring cultures on other planets too much for the time being, as I do about living with my loved ones and getting the most out of life here on Earth. Just being honest. Eventually my curiosity will get the better of me, but I just don't see how I will be able to relate to any individuals out there. Anyway, this is all just speculation, it remains to be seen still just how 'soon' The Event will really happen. I just am sorting my thoughts out on how I feel. Ya ya ya right on mm hmm you must be the reason I quit posting comments myself. Thank you. my apologies, my comment was rather abrasive. I really should be more understanding and I do see where you're coming from. When you feel this way, and someone wants to call you a whiner, start praying aloud for the children who will be raped, tortured, and killed tonight. Cobra, I thank you for the whole update, but especially for its last word, that I LOVED: “soon”. Thank you great man !!!! Victory of the Light ! IS NOW ! Victory of the LOVE/ Light! Thank you for the update and things are coming to a head. Victory to the light! Thank you for the update COBRA!! This is a war and it's not over until it's over..."VOTL SOON"
WE'LL KEEP WAITING...I FEEL THAT THE VICTORY OF LIGHT IS NEAR. Leps hope/pray so...im nearly committing suicide....i give up this endless ..endless wait, for the event to happen.....i totally have had it. 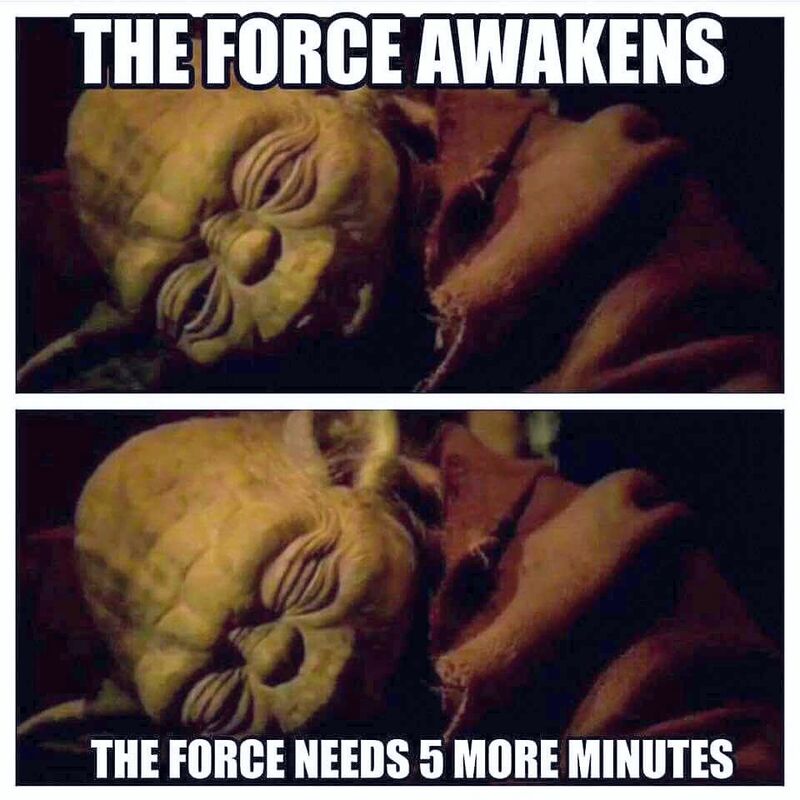 All my energy is gone now. This year..i really need/want the event.....or..ehhhm..you know. My patience of waiting for the event..for years and years now, has its limits..and the limit is reached now..so...PLEASE EVENT NOW! Love and light everybody. I hope Cobra...All light forces..ET,s, and source will read my words. Its absolutely enough now. The event now or never..good or bad....Everybody i know wants proof now..my parents...everybody....who believe in this, and still not believe in this. You keep saying that, yet you're still here. Boo fricken hoo lol. Go cry in your corner and let the adults talk lol. hello unknown ... I also think that enough is enough ... but..suicide noooo… njoy this beautiful planet while we wait for the Event… I sometimes think that "they" Galactic Confederations have fears that something goes wrong ... they have to do things right… or the planet can be destroyed ... keep calm, it will soon happen. This nightmare will be over soon!! Oh yeah it's going to be over soon cause light forces have so much love backing them up it's ridiculous.that said we on the surface need to keep continuing expressing love everwhever go.stay positve!,stay strong!,always meditate with love in mind.PEACE AND LOVE TO ALL!!. THE ULTIMATE POWER TO THE VICTORY OF LIGHT!!! This is the best description of QAnon I've seen anywhere! The rest of the update was pretty awesome too! I'm so anxious and fed up, It's stressful...can't wait until the removal of the toplet bombs and for the mass arrest...we just have to push harder..so their reign of terror can come to a end without delays...I will meditate more often to help out...we're close, its all in the pudding. I have had weak meditations all throughout the summer, but on the 22nd, 23rd of september it was very powerful. My awareness of the room and house around me disappeared, along with any life problems, and I was 'hugged' by this powerful force of warm energy. It was very intense and I took it as a good sign. Thank you Cobra for your honest and truthful intel summed up so well as "The nightmare will be over, soon". I feel too many light workers do not realize the extent of this nightmare... and that it is equally inside us all as a "very bad dream." We All Need to Wake up as much as possible as fast as possible in what ever way is possible to each of us. The Goddess wants an end to this nightmare, and so we we will reach a critical mass of wakefulness and a COmpression BReAkthrough will occur as the Event will be the new Dawn of a new day on Earth. Cobra, the link about "the elite's fear of the Event" has been eliminated! The more it proves the importance. Show it in capitals! será que até 2020 isso acaba... o pesadelo está grande. Can you translate that in English? No way, i go wait util 2020, for things to happen....i will have suicided before then...its the event now this year..or...NEVER! @Unknown, According to CoBra, 2018 will be a year of many breakthroughs. It is possible this is the year, hold on as long as you can. She or he its wondering if util 2020 this ends,thats all. Approximately where are you geographically? I'm in the southeast US and all those links work fine. Could they be being censored where you are? Pay attention to and compare yr copied link and the original links. There are lots 9f % in yr copied link. Correct them. i love you more than i can express cobra. you are a true friend in this dark place. this evil is absolutely unimaginable. I am so ready for this nightmare to be over. Godspeed. Thanks Cobra, RM and all involved in this Earth and Solar liberation. "Mums" the word...bye-bye days of darkness, hello light and love! Cobra, Rajah, Lighthouse South, please, is there anything we can do to stop this? Meditation, food additives, medicine (homeopathic ao)? @Maria, Nostradamus was always fascinating. I believe things change over time though, so like channelings, prophecy is very questionable. If I die, I will continue on in whatever comes after this. I dont want to die yet, or tempt 'the reaper', but I do not fear death. Just kidding, I hope it won't be so long. @ unknown JUST STOP IT!! Thank you for the informative update. 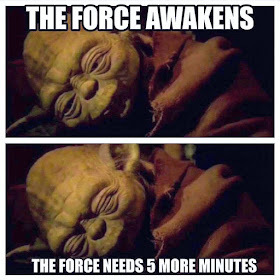 (I feel like Yoda just about every morning, by the way). There is some really nauseating stuff going on in the world. I keep hoping this isn't true, but then I read the posts about it and I practically faint. Let there be light and Victory of the Light! Where did they funelled the anomalous plasma from if the whole universe is clear just we not? Those tunnels of Seth had to end somewhere where is still anomalous plasma. This confused me to a litle bit. I thaught the Earth is the last place where anomalous plasma is and the rest of the Univers is clear from it. Must be I have mised something. But I am glad that now the Lightforces has solved the problem and things can move faster. Victory of the Light! Thank you! Let there be LIGHT finally! Gratitude to all working for the light! Earth HUmanity - our Destiny awaits! Thank you Cobra, and thank you to the Light Forces for all that you do for Humanity! Thank you Cobra, and thank you to the Light Forces for everything you do for Humanity! We have a victory of the light shining true and bright! Thank you Cobra, your update is very much appreciated. The sad truth of what is/was happening is painful and the torment that most of the lightworkers in 3D experience is beyond comprehension. It hasn't been easy for me and I'm just grateful that it isn't worse. I know from the bottom of my heart that the InfiniteMotherFatherGodSource hasn't forgotten us and has also sent a team of wise and beautiful beings for this specific mission and that ultimately Love will prevail. THANK YOU to all working very hard to make this a possibility and THANK YOU to all doing their best to hold love and gratitude in our hearts. I read that aloud to myself. Good job Cobra and Light Forces!! Soon in linear time we will look back on these days and laugh. Thank you for the update Cobra. Much appreciated. Ok great thank you Cobra as always it was worth the wait..
Let’s see this as the ‘done deal’ it is while fearlessly and prudently ensuring that the ‘mopping up’ is swiftly completed. Time for every Light + Love Warrior to be Fiercely Divine and Divinely Fierce. The moment to go forward without fear - as Cobra is telling us what we can discern deep within. Victory is here. The war is won. Just a few more relatively small skirmishes to deal with resolutely. Vast ADDITIONAL armadas of positive ships are arriving. The Sun and our Cosmic Brothers + Sisters are fine-tuning perfect energies leading up to and including the Event. Darkness is disappearing like dew in that Morning Sun. Freedom to begin our return to our Divine Blueprint is imminent. Be in JOY and LOVE. This is how we can support Victory of the Light and Love right now. Victory of the Light and Love Brothers and Sisters!! Cobra, I do get concerned when you say the galactic central race is to bring enlightenment. That's exactly the reasons the Jesuits and the likes used to hurt so many people and tribes. Go to a tachyonis healing chamber at best. "FOR HEALING ASSISTANCE CLICK ON THE PIC"
Nothing happens outside the Now moment. There is a divine plan that is being played out. There is no "soon" there is no "waiting". Lets do our job and intensify our meditation and prayer and in these elevated states really focus our IMMAGES of the Event and all the associated wonderful things that will surround it, focus that intent to the Now moment. Let us open up even further to allowing Source to work through us. We are the Event! never ending problems, so sad. "...and they have requested absolute radio silence about that Plan since the end of January 2018." "hat request was not respected for the first time in late August..."
Cobra was speaking of last August. August 2018 the request was not respected. Operations had not finished. Intel leaked prematurely is a breach and presumably set things back not to mention probably putting lives in danger. Infowar. Diverting power means clandestine work and outsmarting one's opponent. And the risk of losing lives. So absolute radio silence is VERY important. Anyone who has lived a war and worked for the resistance should know this. Thank You Cobra, thank you Lightforces! Great update! After September equinox meditation there is a feeling that we have won already and now we must do just a formalities so to speak. Last night in my dream tarantula was chasing after me but I got away and actualy I wasnt afraid, it seamed more like a game to me. We must continue with the meditations and built thos light bridges to the Source and keep them firm until the final liberation. Amor vincit omnia! Victory of the Light! The event/final liberation must be now..right now..wake up ...the world is exploding into rage/violence. Stop it right now....Only one thing i want now...the..EVENT!! Or ill be dead very soon. No more endless meditations anymore!! The only meditation i will do, will be an TRIGGER THE EVENT meditation right now..which will trigger the event...at, or soon after the meditation. That will be the only meditation i will join in..all others i will not. And again...I need the event now. I, and we all want some bloody serious proof, that something big is going to happen this year..Oktober. But still endless talk talk..talk, since 2012..and still no event, while the whole world is exploding in violence...and dying. Back in 21 12 2012, the event was supposed to happen too. But since then..nothing happened. I read since then..victory of the light..well...let this come true right now! Im sorry, but i am totally fed up..and give up on everything right now. But i read/hear a lot of saying the event will happen next month. So, i will give this a very very very very very V E R Y! V E R Y! last chance/wait. If nothing happen by then...suicide is kicking in. Waiting fr the masses waking up will never happen, without the event happening....maybe they wake up, over thousands of years. So, only the event, will wake every being up. So, we all can accent after that, into our final destination...our paradise into the fifth dimension...totally free of any suffering..only the most beautiful life experience you can ever imagine. So..please EVENT now. Blessings, and love to everybody. No one knows when the "event" will be? I wouldn't hold out for it to happen next month. I think at the time, you will know we are there..I don't get the feeling it's next month, although, that would be nice. I think we have a whole lot to go through still, it's been too easy so far and I don't say that lightly, just i think we all as a collective have a few things we need to go through first...then fun and games begin. Cant be impatient and only focus on this event. We have to get on with our lives and keep awake, keep focused on the truth and raising internal light. Fear is you out of your element. Worrying and waiting for the event is being out of balance. You need to get back in re-alignment to your true best self. Easier said than done. I've been out of alignment myself plenty of times, especially since 2012. It can be a sxxt show sometimes. The alternative is being a sheep. 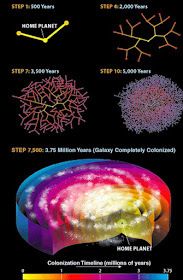 The first graphic of your update indicates that the Galaxy started and grew around Planet Earth? Please elucidate that Cobra. Thank you. The first graphic and all subsequent graphics talk about the central race and how their influence grew over time. Why do you think it is our planet? It probably shows ANY starting planet and how such a civilization grows after it has reached space technology. No it grew around the galactic centre. Around the first planet, inhabiting the first race of the galactic centre. Known as the central race. 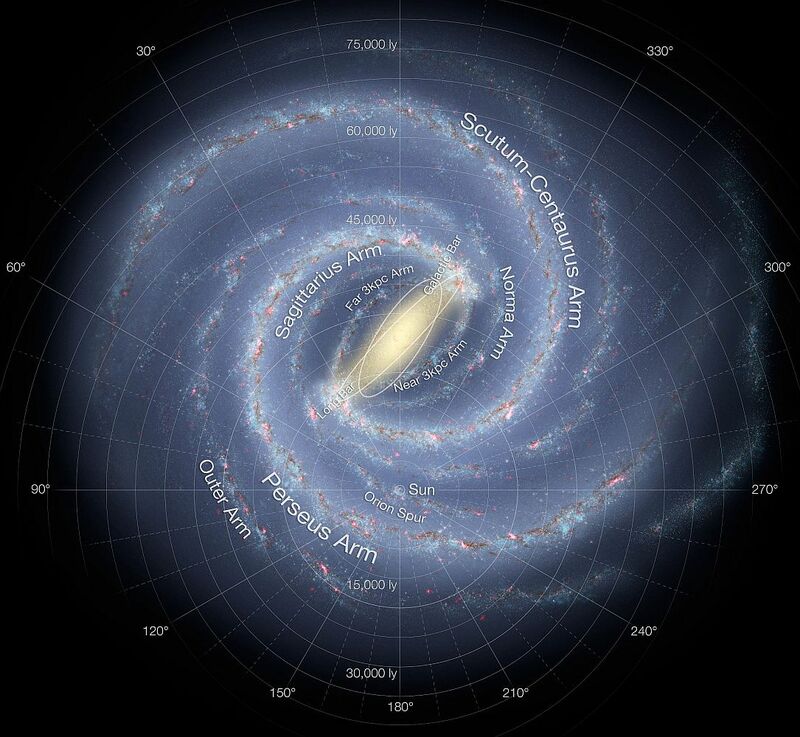 in the last figure, HOME PLANET is located in the Earth's position in the Galaxy. I assumed HOME PLANET is Earth. I think earth is on the outer edge of the galaxy so it's taken millions of years to be liberated and shifted to the Light, is that correct? We have an important portal the sun, but relatively speaking earth is like that gas station in Nevada in the middle of nowhere, it's a life saver if out of gas but it's not close to the main hub, ie the central sun.. correct? "GAIA, A SPRING OF LIGHT"
An online 'institute' for human and integrated development. It is needed for our upcoming Light Communities. It is a difficult balance to make, how much to reveal and how much to keep hidden. But balance is the important aspect in most things, isnt it. It is important that most of the population understands the problems that exist, hidden away from them. Without that understanding they will defend their leaders and way of life since they think it is the best thing that happened since sliced bread. And they will attack the people that spread terrible conspiracy theories. People need a moderate pace of revelations and actual confirmations in 3D which conspiracy theories are correct. Even we fanatic Cobra followers need real proofs that we can see (or feel). That is why people are getting more and more discouraged nowadays because we are not noticing any confirmations. That is where Qanon has made the greatest contribution because people are actually able to see that the things that are said do actually manifest on a regular basis. Something more than MSM narrative is actually happening. So dont write down some movements if they are actually making a positive change. Trump aint perfect and Putin aint perfect but they are the front figures of movements that do make some positive change. Embrace the good and notice the bad and try to inform people about the hidden agendas at a level that each person can accept at that moment. We are all in this together, literally, and while some do more than others based on there situation and abilities we all must do our job as best we can. I read that one of the reasons for the deays is greed. Then all can take a long time. Then there was KP, saying “Remaining as an ‘Observer’ of ‘The Greatest Show on Earth'” Thanks KP. Exactly what I needed. I sometimes forget about that. But yeah never ever happened before and so much and many involved. Patience for me. Unconditional love for all on and in the world. Thank you very much for the intel.Cobra. We support all this as we can. 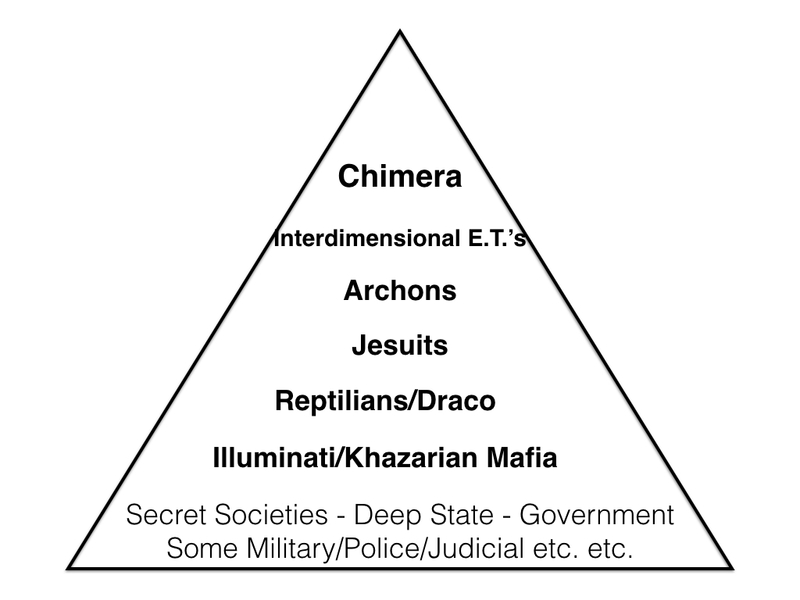 "Political right (Vatican-controlled) is more inclined towards Satanism, which occulty worships darkness as a principle. They believe in free will as a sacrifice to that darkness." I don't understand the last sentence. Could somebody please explain it to me? Thanks. I think, they sacrifice their own free will to act upon the will of Satan. I believe it means that they serve darkness as their intentions. Most people serve themselves, or a "god" of sorts. Satanists devote everything they have to "the void". That which was before there was. Chaos. Because "darkness" envelops all (space), therefore to them it IS all. Something to that effect. So one side is like baatezu and other one is like chitauri from planescape torment concept? I took it also to mean.. daily and on sunday several billions catholics willingly go to mass, and participate in the ritual of communion where the blood and body, not the symbolic mind you, they are told it's really the body and blood of Christ and they are eating and consuming it, this is pure black magic at work! I should know, I grew up and was confirmed Catholic before I awoke. Now I see it all so clear, but not when you are in it. Watched the movie "Spotlight" on Netflix, the story of Cardinal Law in Boston and how priests who were discovered to be sexually abusing children, mainly boys, were simply moved to another parish or sometime promoted to Rome as Cardinal Law was upon his departure. It's all dark the entire Vatican, papacy, I have tried to show this to those still following this control mechanism who are partially awake and they can't see it they keep thinking scripture is the word of God, it isn't! I read Shirley Maclaine's report of The Camino, A journey of the spirit. It says 'The law of Karma is not in the return of events, but sooner the return to Soul. While you get into God awareness, your ability to move through everything will be recovered. Your inability to move is the definition of sorrow. Emptying yourself of sadness turns you to receiving the next level of joy. The Holy Grail is an exemple. It is like any other beaker. It's true value is in its emptiness. Joy appears when the beaker of greeve is emptied. That's why the joys of the greeves along the Camino are the rediscovery of your own soul. Therefor humanity has the moral duty to strive for joy. ya know something. in a previous timeline she made a movie with patrick swayze that involved pleadians and astral travel and more and now it doesnt seem to exist. I recently visited 3 different Hawaiian islands and buried Cintamani stones. I have the coordinates, but I'm not sure anyone is keeping track of that or if the coordinates are important.....thank you Cobra and RM, love to you all! I know in my heart the Light will be victorious! Email untwine1@yandex.com with the coordinates. He is keeping track. "We have been keeping a database of all stones buried as far as we know, so if you buried a stone you can let me know at untwine1@yandex.com"
I've always assumed the exact coordinates should be kept secret to keep anyone from trying to go dig them up. If i only would be able to have contact to the Lightgorces a tiny single bit. It would be much easier for me to patiently wait for the event. "This nightmare will be over soon" Let my tears speak for me. Let my heart energy to elighten my perception. Let my soul be the only voice. Even before I head of "Prepare for Change" or "Cobra" I created a class titled, "Change" Are you Ready?" In this class I talk about what change is and how to handle change. Change is neutral. It is neither good nor bad. It is your perception of change that gives it a positive or negative affiliation. I see comments regarding "suicide" on here and on other sites as well. For those who may have these feelings or thoughts, I wish for you to find your "Core of Calm"(R). This is a phrase that I trademarked for my company. The Core of Calm is that point inside of us (mental, physical, and spiritual) where were are completely balanced. When we are balanced then the activities of the world around us have a lesser/to no impact on us. Please, if you have suicidal thoughts or anxieties about the Event (or anything else) find your "Core of Calm" or let someone help you to find it. Excellent Update Cobra, thank you for your Great Work and that of the Light Forces and Resistance Movement. It's good to Know the Light has our backs. Much Gratitude and Love to All those helping to Liberate Gaia and All her Inhabitants. Victory of the Light! As always we have an interesting update and a few confirmations, like the shut down of the solar observatories due to all the ships coming in! Cobra, I would just like to clarify something - aren't the jesuits behind the left as well? Not that they aren't behind the right, we know the divide-and-conquer strategy. The reason I ask is because in past interviews you stated that the jesuits controlled people like Stalin and Fidel Castro, so a clarification there would be nica,thanks anyway for the update! dear COBRA i have been practicing being the "observer" for quite some time on this blog. i want to express my sincere thanks to you and all others who are working so hard for all of us. i have also just started listening to drake bailey as you said some time ago that drake will be the one who will have the information about when it will come together. he did say on tuesday of this week that talk of a debt jubilee is "horse hockey" as he calls it. i am sure many would want to know that this part of the plan is still going to happen post event or at the time of the event. please confirm. thank you and God bless. Thank you for the update Cobra. To me, the most important part of your message is this sentence. I encourage all those with difficulties in life to meditate on what they want their life to become. Image what you will do once your illness or other challenges are overcome? What will you do with your life in a post-event world? Imagine the possibilities. Also, here is another detailed description of the event channeled from Sananda. It is too long to post in the comments, so I will link to it instead.
" … the Event is a singular, cosmic, completely visible, planetary-scale ‘explosion’ of Divine Light and Love on Earth. These powerful waves of Divine Light and Love will come straight from God/Source; channeled through the Great Central Sun. 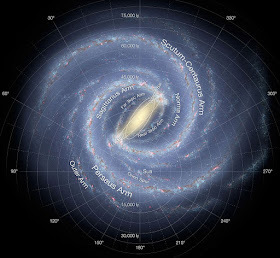 They will pass through your galaxy and planetary systems, to arrive and encompass all of the Earth in ONE single moment ~ reaching all living within the planet at the same time. Gaia and all of Her inhabitants will be able to see and feel the Event, and not a single person will remain unaffected afterwards. -Sananda"
Cat Stevens was a visionary! I just want to thank you and the RM for putting out these gold value intel. I know the RM doesn't have to and maybe you even don't want to so any longer, because of the upwind (soul damaged, possessed and triggered) people can build up against such information in this matrix/grid we are captured in. I recognized this sad fact on my one the last one and a half years - sometimes it is a war fought out on keyboards indeed. So I just want to say thank you. There are people out here, who really rely on your intel, because it is one of the rare legit sources out there! 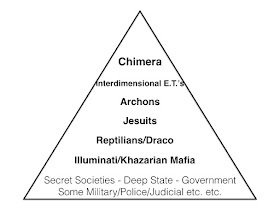 I would never have spotted the chimera without this blog. So, there are a lot of people out there, who do recognize the upwind and unbearable sacrifices you have to make, to put out these information. And in the name of these people – I just want so say: Thank you!!! After the Event every single sacrifice, and battle, was hopefully worth it – VOTL!!! Oh thank you dear Cobra for this great good news! May the event come quickly so that we are finally free! Earth is backwards for sure about a million years behind I suspect as I was putting gas in my truck I couldn't help but laugh at how old the tech is we are using still. I do feel though the Galactics and Agarthans bear some responsibility as they have known for millions of years earth was taken over and was a prison planet. It's all good we are 1 and we are in the heart. Service to others and this grand experiment is over time to come together, learn from it but never never repeat it as clearly it reached a dangerous point threatening Gaia and all of life on it. Cobra you have been amazing I thank you sir for everything I hope to someday meet you. We all want happiness and a bright future and that is exactly where we are going! Victory of the Light Now! I'm sitting here watching the distraction known as the Christine Blasey Ford hearing, related to the confirmation of Judge Kavanaugh on the US Supreme Court. Our politicians...oh...ugh... I was actually hoping to figure out if "she is truthful or not." I thought I might be able to tell by watching her, but honestly, I cannot figure it out. I shall keep you in the loop on the actions of AO, and other operations. Much on the horizon, comrade Cobra, Victory of the Light! The people have become intolerant of wishfull claims by those who continue to tell them things are happening year after year and when someone like QAnon comes along to help us see what is happening it's like a bright light has been shed upon the bigger picture here on earth. I for one embrace and encourage Q's posts of activities that have happened or are going to happen. This is what it gets down to when the common people are forced to accept what others have told them for so long and now have another means of seeing the battle wage in front of our eyes. Trump wasn't picked because he's perfect, he was picked because he's the kind of person who can get the job done. Just as Cobra assures us to trust the plan he advocates, so does Q.
Aguardando ansiosamente o evento, a libertação planetária e pronto para auxiliar as pessoas que necessitarem. Thank you for such important news!!!!.. All we are with you from our high selves in order this slavery finish as soon as possible!!! This is why, Mike Pence is VP. I do hope this will all be over soon. Our planet has been taken over by some sick individuals for long enough. Victory of the light! This problem was recently taken care of and things will now proceed more rapidly." Very important update🌟🌟🌟 Thank you Cobra!💖🙏💖. 100% PROOF IN 2007 / 2011 BOOKS, ABOUT THE CAUSE OF THE MANDELA EFFECT - AND GUESS WHAT? IT ISN'T EVIL, AND IT ISN'T CERN. "In her 600+ page 2011 book, "The Three Waves of Volunteers and the New Earth" (http://amzn.to/2jVPQia) (which I highly recommend and now own! ), Cannon documents how, through her hypnosis work, she has discovered three waves of spiritual "volunteers." Some,she says, have come direct from the "Source" and have never lived in any type of physical body before. Others have lived as space beings on other planets or other dimensions. Because all memory is erased upon entry to the Earth dimension, they do not remember their assignment (they suffer from "the veil of forgetfulness). Thus these beautiful souls have a difficult time adjusting to our chaotic world. "These souls," the book says, "have a vital role to play as they help all of the rest of us ascend to the New Earth." Great update! Thank You Cobra. Victory of the Light! Dreamed I had to call 911-the numbers appeared huge-I was looking at a phone & someone said, "there is no electricity, everything's down. You'll have to figure out how to dial 911 with your mind/intentions." (those 2 words overlapped). Chemtrails everywhere yesterday, like permanent twilight today. Be kind. Be friendly. Be honest. Be yourself. Awesome post, Cobra! Thanks for all the I fo and confirming my suspicions about QAnon. It's all about discernment and seeking the truth. Polarization has been their trick for so long and still we fall for it. For those who want real news, check out 2013 Rainbow Roundtable. Those guys have been sharing the real story behind the news for years. They have podcasts and conference calls several times a week with really interesting posts and info. Gratidão!Que a Luz se faça!! Are underdeveloped and we are stubborn and obscurantis. Stick-in-the-mud. And that's all true! This terrible truth. Those who are 'intact' and healthy' sometimes thinking. At the time of writing this it says there are 117 comments, which is one of those numbers I keep seeing. Tonight I am officially homeless. Tomorrow perhaps I will be in another world. One can only hope. When kavanaugh is confirmed I bet cobra puts out a coded message.